A new leak posted recently on Reddit describes upcoming game rumors, namely one of Smash Bros. Wii U/3DS games publisher/developer Bandai Namco being the ones behind the helm of Metroid Prime 4. They also describe the upcoming Dragonball FighterZ being ported to Switch – a welcome addition if I might add. They detail Metroid Prime 4 footage to be revealed during the next Nintendo Direct, in Janary. 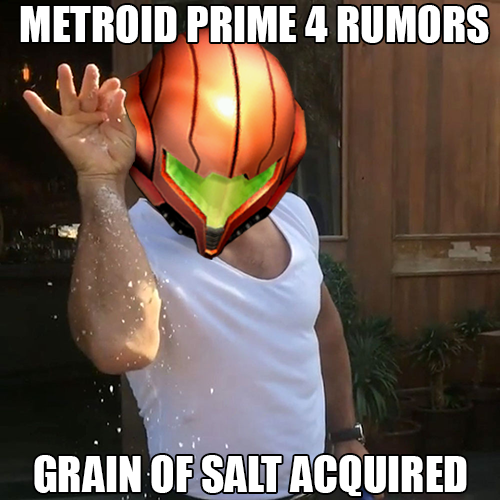 As always, take these rumors with a grain of salt – nothing has been proven or given any evidence, but it’s fun to think about! Details can be found at the end of this post.